Could the Padres Jump In on Mariners’ Fire Sale? 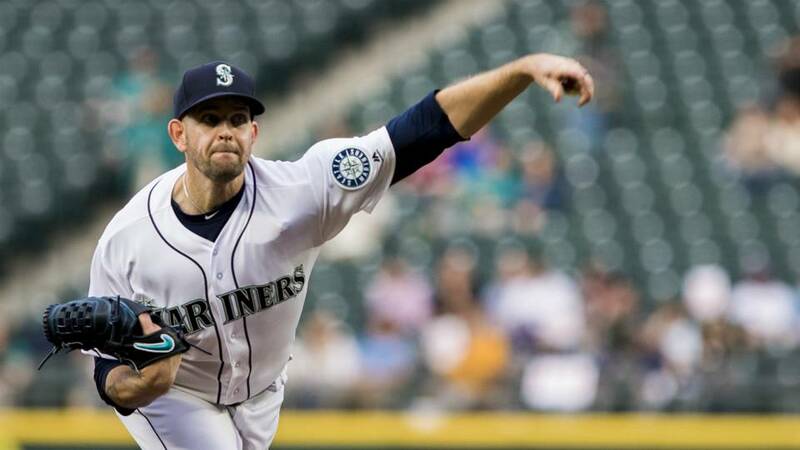 It looks as though the Seattle Mariners will be trading certain veteran players. Do the San Diego Padres and the Mariners match up in a potential trade? And what would it take to acquire some of the Mariners’ talent? On Tuesday, it was reported that the Seattle Mariners were open to listening to offers for most of their players. The Padres and Mariners have done business in the past and are connected in many ways, as Vedder Cup rivals and spring training complex neighbors. The Mariners finished at 89-73, third place in the crowded AL West. With their main corps aging and a bare farm system, Seattle GM Jerry DiPoto is tempted to have a yard sale. 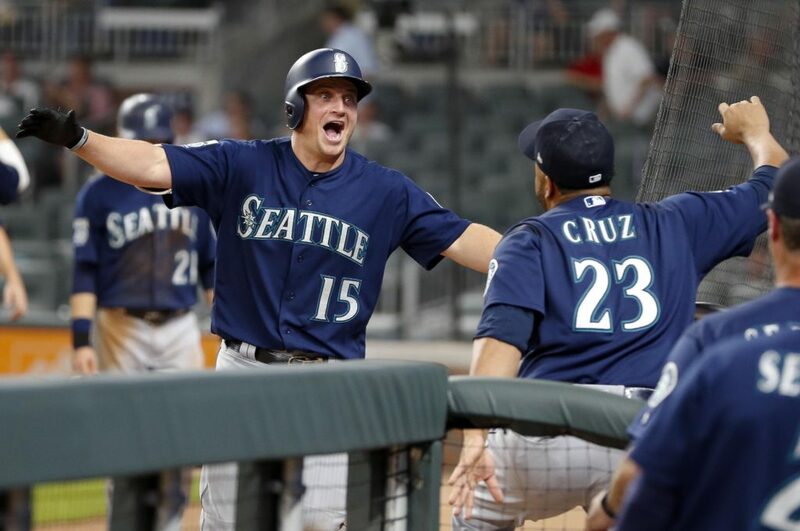 The cupboard is certainly not bare on the Mariners’ major league roster. There is a reason why they had almost 90 wins. Closer Edwin Diaz set a team record with a Major League-leading 57 saves and won the A.L. Mariano Rivera Reliever of the Year Award. Mitch Haniger and Jean Segura were both all-stars, and at least one of them seems to be on the market. The Padres need major league-level pitching and Paxton fits the bill. The Big Maple is more than just a viral video involving an eagle. His injury history is certainly a concern, as he just set a career high this season with 28 starts. He hadn’t made more than 24 before. However, the talent is absolutely there. He has ace-type stuff and he showed it at times during this season. He threw a no-hitter and ended up with two complete games, which only a handful of pitchers did last season. The Friars would welcome his talent into their young and shallow starting rotation. He has made 102 major league starts, more than any current Padre starter not named Clayton Richard, and Paxton has ten times the stuff Richard does. Among starters with at least 160 innings, Paxton was fourth in strikeouts per nine innings with 11.68 with a 3.8 WAR, better than Dallas Keuchel and Clayton Kershaw. Seattle desperately needs to replenish one of the worst farm systems in baseball and they would love to tap into the pool of talent the Padres have accumulated. Paxton is under contract by arbitration for two more seasons and will be a free agent after the 2020 season. For two years of control of Paxton, the Padres would likely need to part with a decent prospect or two. Padres fans like to hoard prospects like old hermits, but they will need to part with a few to gain actual MLB talent like Paxton. A package like Austin Allen, since the Mariners have already parted with their catcher Mike Zunino, and a pitching prospect like Brad Wieck might get the deal done. Padres fans may scoff at this, thinking Fernando Tatis Jr. will surely arrive in 2019. That is no guarantee, plus his long-term projection still may be at third base. Segura is under contract until the end of the 2023 season, after signing a 5-year, $70 million extension. At 28 years old, Segura is still in his prime and the Friars would be trading for five seasons of control. He is a two-time All-Star, including last season when he hit .304 with a 111 wRC+. Segura would come at a hefty price, higher than Paxton. Segura led the entire National League in hits in 2016 with 203, along with 20 homers. He didn’t tap into that same power in Seattle, which is not a launching pad like his previous team in Arizona. He has three straight years of at least a 111 wRC+. For five years of control for a two-time All-Star shortstop, the Padres would likely need to fork over a package like Michel Baez, Hudson Potts, and Henry Henry. This might be the one that makes the most sense for the Padres. Even though Seager is 31 and coming off of the worst season of his career and is still owed about $19 million for each of the next four seasons, the Mariners would likely have to eat some of his salary to make this happen. The Friars played musical chairs at third base this year, with Wil Myers, Christian Villanueva, Cory Spangenberg, and Chase Headley manning the hot corner at some point during the 2018 season. Seager has a Gold Glove and All-Star bid under his belt. He has seven 20-homer seasons in a row and has played at least 155 games each season in that same span. He is probably up there among the players Jerry DiPoto wants to trade the most. Unfortunately, he had a bad year (.221 average, 84 wRC+) to command a high price. He is still a talented, everyday-type third baseman that the Padres currently lack. A trade of an outfielder to the Mariners in exchange for his services would make sense since Myers would need a spot if the Friars are filling third base. Look for a deal such as Franmil Reyes and a middle-tier prospect like Gerardo Reyes for Seager’s services. Reyes is not great in the field anyway and might enjoy filling the shoes of Nelson Cruz at DH for Seattle. Selling low on myers is not a good idea. We don’t want Seager, there r better 3B out there. So you get a stud like Paxton and only have to give up SD’s #26 best prospect and a throw-in? Pass. This offer isn’t even close to realistic, not to mention the fact that MANY other teams will be bidding for him too. 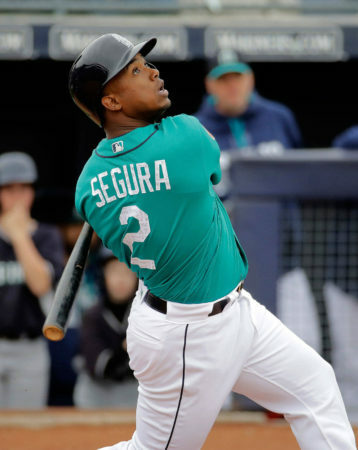 Segura offer is slightly better but DiPoto traded a proven Taijuan Walker and more for Segura just 2 yeare ago and will want at LEAST that in return… He has only raked since being in Seattle, is young, and under control for a long time. Everyone falls in love with their teams prospects and puts WAAAAY too much value on them, imagining them as the next Winfield or Gwynn. However, look at the Padres 1st round history and tell me how many have worked out as planned? 3 maybe 4? It’s basically littered with busts. Same with the top 20 year-after-year. Remember, very few prospects pan out the way we dream they will. Better to trade most “prospects” for already proven mlb assets. You MAY have one player in your system who will turn out to be as good as Segura…. Not an insult, that’s just how it is when you’re a stud in college or even the minors and are now suddenly playing with the best 600 players in the world. Seager offer is…. actually a bit too much when you take into account the amount of money he’s owed. Unless the Mariners are sending cash, I’d be more inclined to see a Myers swap, although I’m not sure how his bat will play in Safeco. Couldn’t hurt though, great turn-around/change of scenery candidates. It’s still too soon to be trading prospects within a year or two from the majors, much less players like Franmil Reyes, who has 40 homer potential that would make anybody overlook his defense in RF. I wouldn’t be adding another lefty, even Paxton, with the lefty riches on the farm, and Seager is looking like he’s entering the downside of his career, at a premium salary, not to mention the price in talent. The Padres can do better than either player just by being patient with their current prospects another year or two. It feels like the reporting of the Mariners’ “fire sale” was in line with the reporting of the Cubs’ potential of moving Kris Bryant. It isn’t really a story, it’s something fueled by creative and intentional misinterpretation of quotes. Maybe we should look at what the GM’s are saying and not another writer, in this case, Jeff Passan, who crafted a misinterpretation. I realize it’s wonderful clickbait to sit and speculate such opportunity but is this really the material you want to cover? I’m certain the M’s like any other organization are going to make trades and try to improve. I’m also certain that any writer is going to try to be seen and get his/her story across. Granted, sports writing has really devolved into pandering, drama, and creative mismanagement of information , but the better writers in this field tend to veer away from the hot air which is mainly fueled by more hot air. Jeff Passan is generally in the group which actually writes, so it’s a bit sad to see him play the game. Perhaps consider not following in his footsteps? Nick, your trade suggestions are a little “homerish” for me. If the Padres could get Paxton, Seager and Segura for A, Allen, Potts, Baez, Reyes and spare parts, Preller and Co. should have made that deal a month ago. Paxton and Seager would be great gets for the Padres, but I will put my faith in Urias and Tatis for the middle infield positions going forward. There is going to be a lot to write about when it comes to the Padres this off season, I personally hope they stay the course and don’t do anything too drastic as the Padres are still at least 2 years away from serious contention. Why not go for all 3? All would instantly improve the Padres. And we have the prospect depth to swing such a big deal. But the cost of these salaries means Seattle has to take Myers as offset. That alone is worth making this blockbuster move. I have to think a bad contract trade of Myers for Seager makes the most sense. Paxton will definitely cost alot more than what you recommended, you’d likely have to add an Baez to that. Padres need to figure out if Hudson Potts is the long-term 3B or not. If he is, then they need a 3B for the next years. If not, then they need to get someone like Suarez. Seager’s regression is very disconcerting, don’t give up much for him. Would be great to get Paxton and Seager. Padres should make a trade like that it might work like when they traded for Caminiti and Finley. I’d give up Myers, A. Allen and a lower level rookie. Myers and Seager would offset and both may need a change of scenery. I agree that Seager is the best potential fit here. If the Mariners are willing to eat a portion of his salary, a deal could be made. Seager is *not* the player he was last year, and he would represent a significant upgrade over Headley-Villanueva-Spangerberg-Myers, both offensively and defensively.